1. Begin by holding 3 strands of worsted weight orange yarn together as one. 2. You can make them taller or shorter by the number of rows you knit. You can make them wider or narrower by the size round loom you choose. The 7 inch Knifty Knitter (red) is a good size for making a Jack-O-Lantern. After you've knitted rows to the height of the pumpkin you want sew through the loops on the loom to remove it and pull the yarn tight to gather the bottom. 3. Make sure that you have a long enough piece left to pull up to the top of the pumpkin and sew around to gather the top as well. 4. 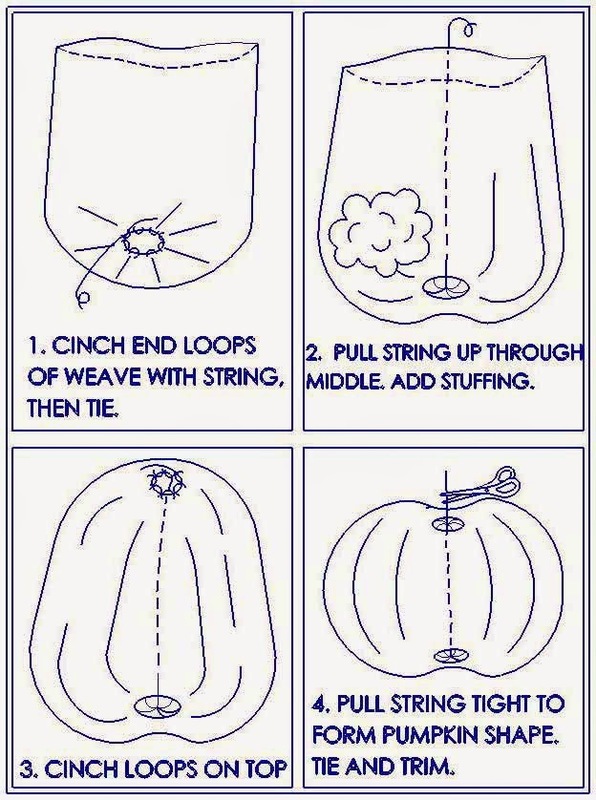 With the yarn needle and thread, pick up the first loops of the top and pull up, but do not tie. 5. 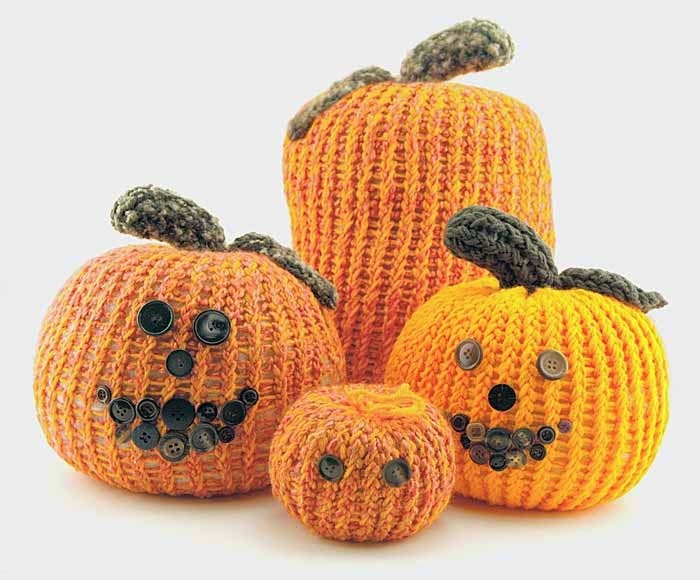 Stuff the Jack-O-Lantern with Polyfill. 6. Tie off the top. 7. Face - You can use a hot glue gun to glue buttons for the Jack-O-Lantern mouth, nose, and eyes, or sew on the buttons with thread. Any of the Knifty Knitter looms and hook, black buttons, orange yarn, polyfill, yarn needle.